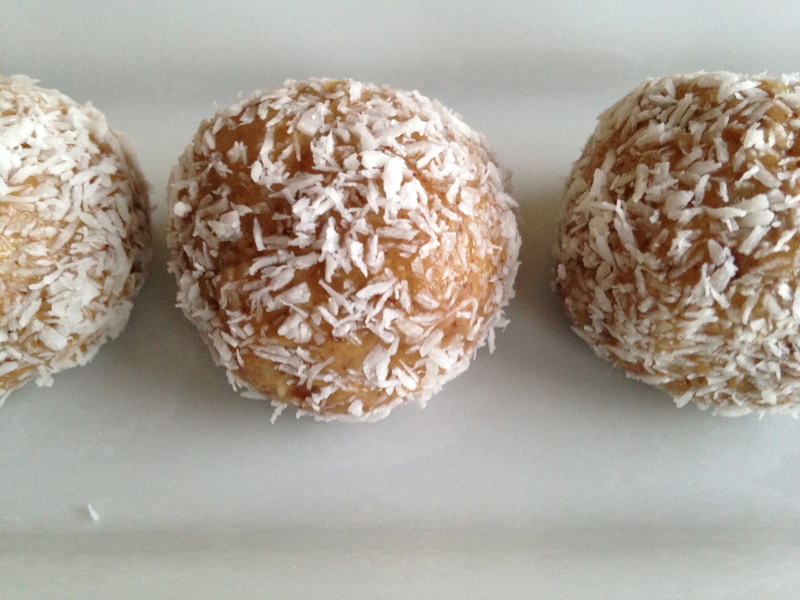 I recently saw my friend (and nutritionist) Barbara Mendez make these truffles on her show Motivational Mondays. Delicious! We eat them for snacks with apples and for dessert. Place the walnuts in the food processor and process until fine. Then, place all the ingredients into a big mixing bowl and mix until it comes together. Cover and refrigerate for an hour. Use a small ice cream scooper to scoop up some of the mixture and roll it into a ball. Then, roll into the shredded coconut to coat. Store in the refrigerator or eat immediately. Enjoy! Do you use liquid coconut palm nectar or granules? Also, what brand do you use? i used liquid nectar and the brand is sweet tree. Yum! I make something similar, but with me fool dates for sweetener! So delicious!